Blueline Floor Coverings offers San Mateo County exceptional, competitively priced hardwood flooring services, carpet sales and installation, and specialty floorings. We are a family-owned, licensed and insured C-15 floor coverings contractor with over 20 years of experience. Over the years, we have earned the trust and respect of hundreds of home builders, general contractors, and homeowners throughout Los Gatos, Saratoga, Los Altos / Los Altos Hills, Menlo Park, and surrounding areas. Our loyal clients continue to rely on us because of our expert craftsmanship, exceptional results, and personalized customer service. Call or visit us today to learn more or to schedule an on-site consultation and estimate. 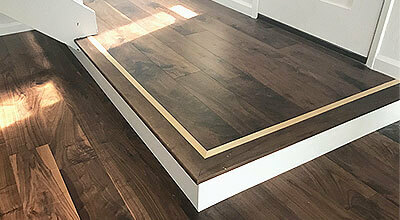 We welcome flooring jobs of all sizes, from designing and installing hickory floors in multiple homes, to refinishing a worn hardwood staircase or installing new carpet in your child's bedroom, throughout San Mateo County. Stop by our 1,000 square foot showroom today to view our broad selection of prefinished and unfinished solid wood flooring, brand name carpeting, and high-quality specialty flooring. Whether you are looking for distressed European oak for your new home in Belmont, exotic teak for a hardwood stair restoration project in San Carlos, or durable Stainmaster carpet for your living room in Redwood City, our friendly and knowledgeable staff can help you find the ideal solution at the right price. Some of our most popular wood flooring options include hickory, maple, oak, and pine, as well as exotic woods such as African mahogany and Brazilian walnut. We also offer a diverse selection of synthetic and natural fiber carpets that come in a wide variety of thicknesses, styles, weaves, and colors. If you are looking for a wood floor or carpet alternative, we also carry sheet vinyl/linoleum, luxury vinyl tile (LVT), cork, and rubber gym flooring options. 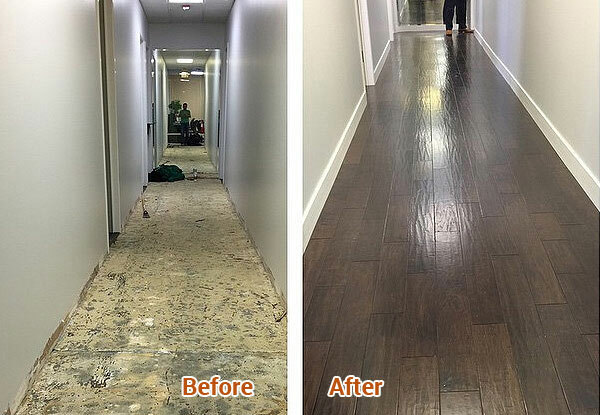 With over 10 years of experience each and extensive hands-on training, our hardwood floor installers have the skills and expertise to construct and restore hardwood floors of all kinds and sizes throughout San Mateo County. From designing and installing brand new oak floors for a custom home, to repairing maple boards that have suffered water damage, you can trust Blueline Floors to always use the industry's best practices, premium materials, and exceptional attention to detail. We also offer many beautiful, one-of-a-kind design options, such as custom-cut inlays, medallions, and borders for floors and stairs. Before beginning any hardwood floor installation or restoration, we always take meticulous onsite measurements and properly prepare the subfloor to create a smooth, dry surface that is ready to receive unfinished or prefinished hardwood. By taking extra time in the preparation process, we ensure that your valuable investment will be well-constructed to last for years down the line. We only use wood finishing products from Duraseal and Bona, leading brands that are well known for their high quality water-based polyurethanes, oil-based polyurethanes, and natural oil wood finishes. Before going to one of the big home improvement stores, give Blueline Floors a call. We offer highly personalized service with very competitive prices on quality brand name carpets, and can complete most carpet installations in a single day. Our wide range of carpets are ideal for bedrooms, living rooms, hallways, stairs, baseboards, and can even be installed on walls for soundproofing purposes. In addition to carpeting, Blueline Floors offers San Mateo County exceptional wood and carpet flooring alternatives, such as cork flooring, luxury vinyl tile, linoleum, and rubber floors (typically, used for gyms and workout facilities). 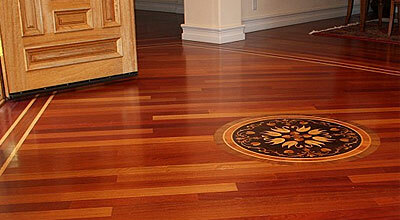 Our flooring services are available throughout Menlo Park, Saratoga, Palo Alto, Los Altos, and Los Altos HIlls. 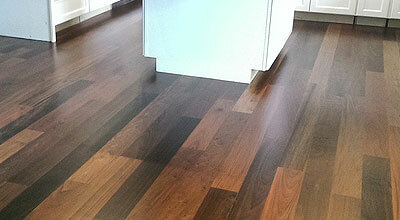 Call today for a free one-on-one consultation with one of our specialty flooring professionals. At Blueline Floors, we are committed to delivering first class customer service and quality craftsmanship that is backed by a 1-year labor warranty. Give us a call today to speak to a member of our helpful and knowledgeable staff, who can assist you in scheduling a free onsite estimate and consultation. 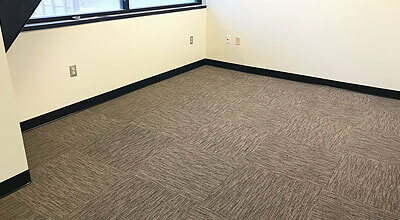 Blueline Floor Coverings is fully licensed and insured. Our service area covers San Jose to San Francisco and includes all of San Mateo County, including Menlo Park, Palo Alto, Los Altos, Los Altos HIlls, Saratoga Belmont, San Carlos, Burlingame, Redwood City, Woodside, Cupertino, Mountain View, San Bruno, Millbrae, Daly City, and Pacifica.